Coming in at #4 is the Nissan Skyline, but it’s not the Skyline you’re expecting. I’m talking about the Nissan Skyline 350GT, also known as the Infiniti G35 here in the states. This is truly one of my favorite cars of all-time, and the G35 is a car that needs not be flashy to be in that conversation. The design is timeless. Sleek. If there was ever an entry-level luxury sedan from Japan that could realistically compete with the Germans on any level, this is it. Except it’s got that Japanese reliability to go with it and undercuts its competitors in price while doing so. Part of me wants to like the current Skyline sedan, the Q50, but it just ain’t no G35. Tomica’s brilliance is on display here once again. 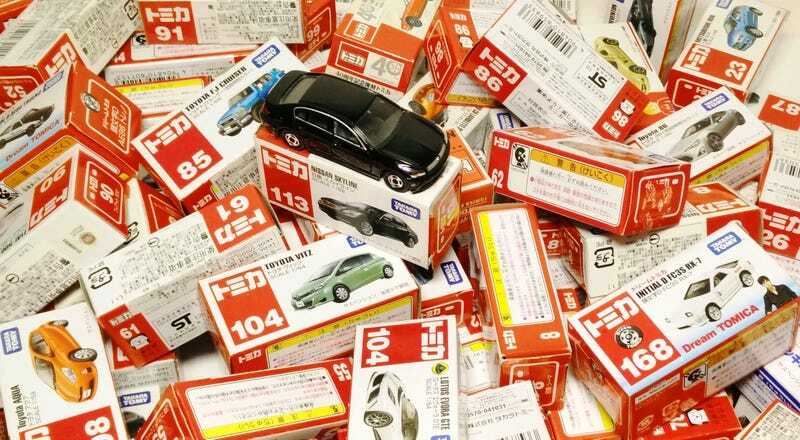 Headlights are individualized plastic parts that are chromed out on the basic Tomica. Taillights are painted in a metallic cherry color that looks incredibly realistic. You can clearly read “S K Y L I N E” on the back, as well as the “350GT”, and even make out “NISSAN” on the emblem. Check out the chrome trim around the B pillars and on the decklid spoiler. Look at how neatly all of it is done. Unreal at this scale and at this price point. This casting also spawned a few Tomica Limited releases, of which the only one I have is the white patrol car - the last of them all. The other ones are the patrol car in black and, I believe, a stock one in the same white as you see here. The casting has been altered to accommodate the beacon on the roof, but otherwise it looks pretty much stock. The wheels mimic those on the 1:1 and are wrapped with rubber tires. The wheels on the TL’s have hollow spaces between the spokes that make them more realistic than ones found in the current Tomica Premium series, where the centers are either unpainted/silver or painted in black. Besides the wheels, the TL version of the Skyline doesn’t add a whole lot to what the regular version already has (because it’s excellent to begin with), but it’s still a worthy model to have for any fanboy.